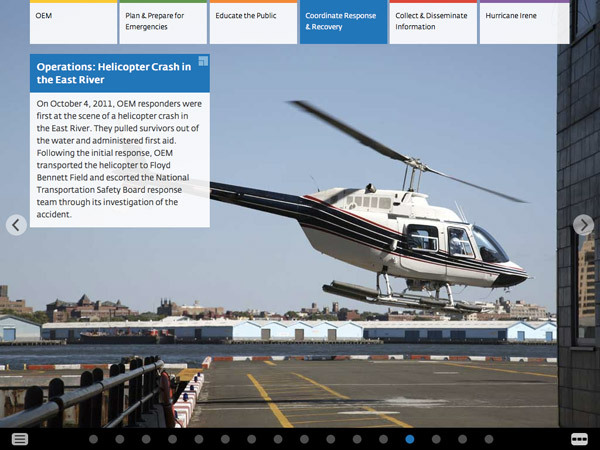 The New York City Office of Emergency Management, a longtime client, recently launched a new online biennial report designed by the firm. 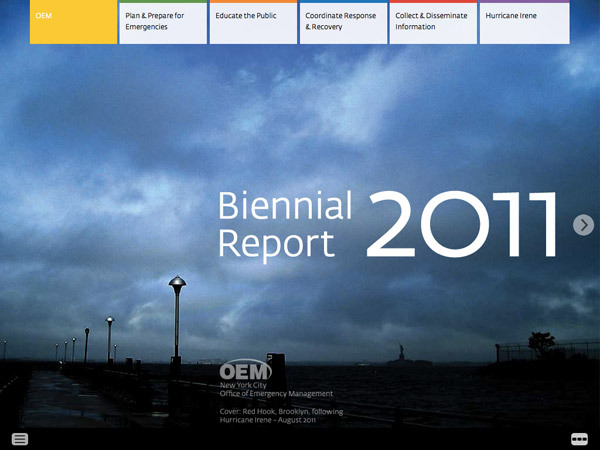 As the public has grown more technically savvy and accustomed to accessing valuable information quickly online, the sophistication of the OEM biennial report has evolved as well. 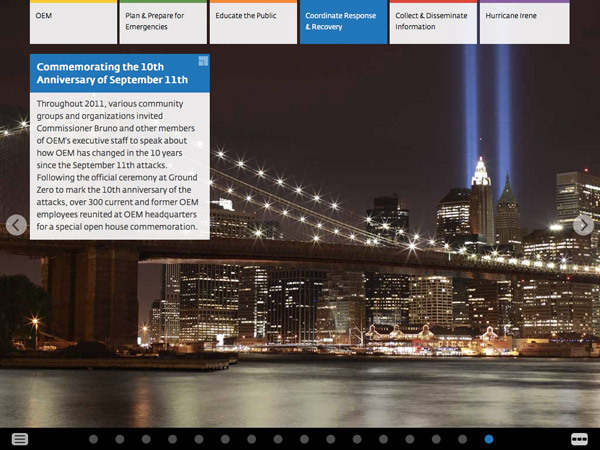 2011 marked a shift for the Biennial: from a PDF version of the report, posted online, to a truly interactive report. To make the content as engaging as possible, rich color photography drives the visual experience with concise text in support of each image, rather than the reverse. Viewers have the option to diminish or expand on the text as they wish. They are also able to choose how they prefer to navigate the document: as a slide show by advancing with arrows; selecting from a pull-down menu; or clicking on an image from a thumbnail menu. 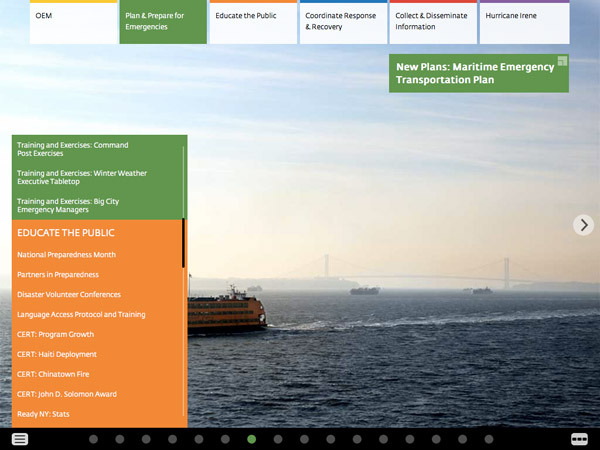 Infographics help to illustrate progress, achievements and report on programs. As is also increasingly the norm, the Biennial is coded to be accessible on both desktops and iPads, allowing it to be as “green” a contribution to the public domain as possible. With a template now in place, the Biennial is also easier to update for future issues.